For many people, religion is a very peculiar system. To them, it falls into the same class as fairy tales, unicorns, and mythology. It may be a nice story for old women and the uneducated, but for the thinking person it’s not a rational thing. One of the reasons that many think this way is because religions – or at least Christianity – is a system that is based upon faith. And, faith seems so, well… irrational. Based on how I’ve heard people object to faith, it seems that there is a misunderstanding of what faith really is. It is often described as “a blind leap” or something that covers a gap in what we know to be true. Although this may be the case for other religions, it couldn’t be further from the truth for Christianity. Let me explain. Let’s assume that you are reading this blog from a chair in front of a computer screen. More than likely you sat down without a whole lot of thought as to whether or not the chair would hold you. You probably didn’t first get down on all fours and inspect it, or send it to an engineer for testing. You had assumed that the chair was going to hold you. Maybe this is because you had sat on it yesterday and the day before. Or, maybe you have come to recognize a sturdy chair when you see it and so you simply sat down. Irregardless of what your reason for sitting down without a careful inspection, the fact of the matter is that you sat down in faith. That is, you sat down believing the chair would hold you. Faith is an integral part of our everyday lives. Without it, we would find it impossible to get most things done. We exit our houses in faith that our car will start in the morning, so that we can follow a highway system that in faith we believe is still there, to get to a job that in faith we believe that have. In other words, we constantly live like things are true based on evidence, which has led us to believe that these things are reliable. We place faith in our spouses, children, friends, relatives, & coworkers, believing that they will do and act in a certain way while we are around them. We act in faith as we place our garbage out at the curbside, or our money in a bank. We even place our faith in the system of logic, which dictates what things are most likely to occur. We simply could not exist happily without faith. As you can see, faith is based on information that we have accepted as true. It is not a “blind leap,” as some suggest. It is not trusting an object or system when we have no reason to believe that that object or system is true. That would be foolish. 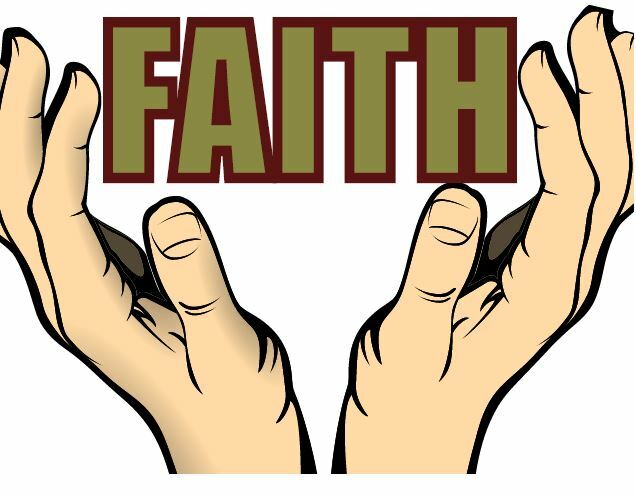 Rather, faith is placing trust in something when we have evidence to believe that that object can be trusted. In Hebrews 11:11, we read that Sarah believed God when she judged Him faithful. In other words, Sarah didn’t believe God until she felt that God could be trusted. I like that. I never encourage anyone to trust God more than they think He can be trusted. If you aren’t sure whether or not God is reliable, than I do not recommend that you trust Him very much. However, if you determine that God can be trusted in some ways, than it stands to reason that you can trust Him in those ways. Like anyone else you meet, until you get to know God, there is no good reason to trust Him with much. I believe, however, that getting to know Him better could change that for you. For how much can you place your faith in God?